On December 15, 2017 Oromo mobs wantonly massacred 170 Somali civilians living in Oromia state, Western Harar Region. The killings occurred in the villages of Gadula, Arooreti, Majaare, Balbaleyti, and Huluqo. In the village of Gadula, Federal police collected 65 women, children and the elderly in their camp and then abandoned the Camp, knowing the threat facing the victims. Subsequently, Oromo mobs armed with machetes and clubs attacked the victims and butchered them in cold blood. Then the Oromo administration in the area together with the perpetrators buried the dead in the village waste disposal dump in order to hide the crime. The Ethiopian Federal government only sent a delegation to the area after the catastrophe has occurred. Soldiers accompanying this delegation exhumed the dead from the damp site where the bodies were hidden and then transported the bodies from Gadula using helicopters to an unknown destination. Since September, thousands of Somalis were displaced from their property and land and hundreds killed in Oromia. ONLF categorically condemns the perpetrators of this heinous crime and the Oromo regional administration for facilitating this callous act. In addition, ONLF condemns and hold accountable the Ethiopian government for instigating this civil war between the Somali people and the Oromo people and at the same time not taking effective measures to stop it. 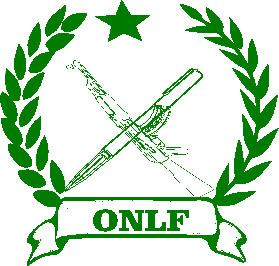 ONLF warns the Oromo people against taking their grievance against the Ethiopian government and its surrogates on innocent Somali civilians, who themselves were victims of atrocities for the last twenty years. A civil war between Somalis and Oromos will be costly to both nations and if this trend of Killing civilians Somalis in Oromo lands continue the consequences will be dire for both communities. ONLF has previously condemned acts against Oromo civilians publicly, however, so far Oromo organisations and intellectuals are not reciprocating and in fact some prominent Oromo members are fanning hatred among the two communities. ONLF calls upon all Somalis to unite and offer all possible support to their endangered people. ONLF calls upon the AU, UN and the international community to look seriously into the current state of Ethiopia and take measures to avert another Rwanda or Bosnia. Ethiopia is quickly sinking into the road of civil war and it would be a disaster if Oromos and Somalis and other nations in Ethiopia and the Horn of Africa slide into a total civil war.